physician EHR can advance your practice. Contact us to learn more about how GEHRIMED’s LTPAC physician EHR can elevate the level of care you provide. 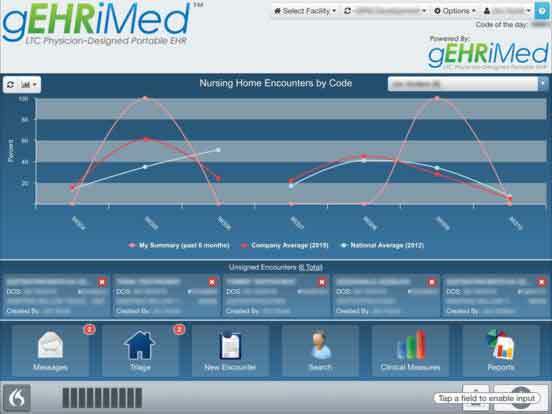 GEHRIMED’s sophisticated tools and easy-to-use interface streamline your workflow, protect your patient records, reduce the time you spend on record-keeping and improve your practice’s profitability. Complete the form below or contact us by phone or email to get started. Sign up to receive the GEHRIMED newsletter to get blogs, news, events and updates delivered to my inbox on occasion. If you are a current client and experiencing technical difficulties, please contact support for immediate assistance. Visit the Support page or use the information listed below.